Martin, our Head Chef, has Bavarian roots but has spent most of his culinary life abroad. 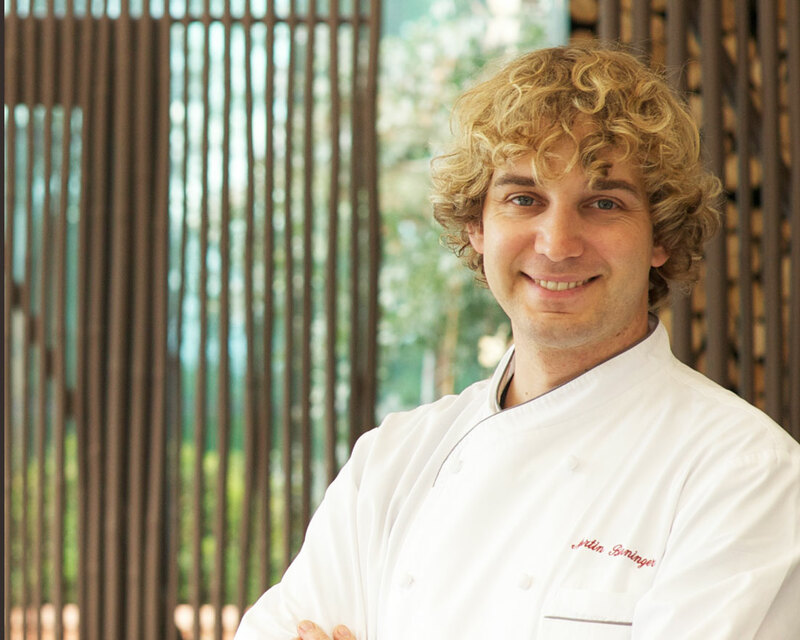 From Schaffausen to Los Angeles, passing through Rome and Aschau, Chiemgau, Martin had the chance to work in four Michelin starred restaurants before landing at the Segreto in 2010. His cuisine is synthesis and elaboration of all his previous experiences but it takes its strength from the Italian culinary tradition. Every dish created by Martin is a symphony of aromas and flavours, a bouquet of ingredients expertly mixed and enhanced. Because to him cooking is a constant research of the perfect balance between taste, smell and sight. When not in the kitchen you can find him in the garden (or in the woods) looking for the right herbs for the dishes you are going to taste. Ristorante Segreto is the passion of Benjamin, our restaurant manager and maître since 2013. He has 18 years of experience in the hospitality industry and an important collaboration in Basel – lasted seven years – with the Michelin starred Chef Tanja Grandits. Benjamin performs with discretion, professionalism and elegance a very complex task; indeed effective management requires a permanent harmonization between the rhythms imposed by the kitchen and those, more relaxed, related to hospitality.